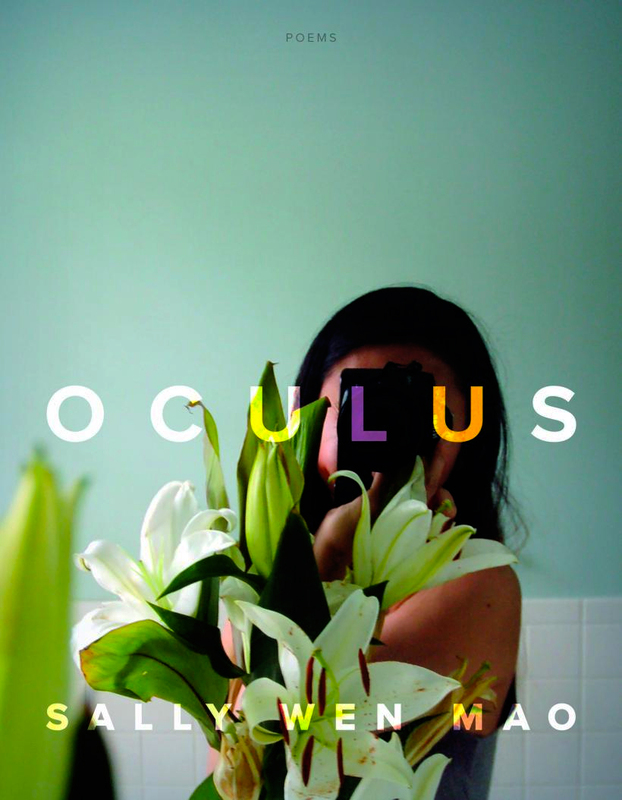 Sally Wen Mao’s second poetry collection, Oculus, is a meeting of past, present, and future, at once a work of historical imagination and speculation for the digital age. Mao, born in Wuhan, China and raised in northern California, crafts an immense undertaking with Oculus, weaving together contemplations of contemporary media, race, technology, loneliness, womanhood and other achingly modern and timely elements, all achieving perfect cohesion within the book. Certain themes and motifs run through Oculus like a poetic river; one such vein is the story of Anna May Wong, explored in roughly a dozen poems throughout the collection. Wong, considered the first Chinese American Hollywood star, lived from 1905 to 1961, appearing in both silent and sound film, television, stage productions and on radio. Mao manipulates time and place, delving into Wong’s imagined mind with poems like “Anna May Wong Goes Home with Bruce Lee,” “Anna May Wong Meets Josephine Baker,” and “Anna May Wong Goes Viral.” In the latter poem, modern-day Wong becomes a “webcam girl,” blowing up on the internet from her sheer bizarreness, slowly transforming from woman to wild. The poem ends, “Soon a crop of young girls will join me, / renouncing their dresses to wade / in the thrill of being animal.” This is one way that Mao uses Wong’s life and legacy to explore womanhood and race in a modern context. In Oculus, the natural and abstract worlds collide with the digital in a kind of techno-dystopia—it is grounded in the present, which is also the future, and the past, which lingers. “Lavender Town” a haunting, mysterious lyric full of “ghost notes” and “discordant leaves,” where “a lachrymose bird cries, a graveyard glistens,” where “you thought you were invincible, / and just like that, the boss / KOs you. And other times, you’re astonished / at your own breath.” Surprisingly, the notes in the back of the book explain that it’s “a town in Pokémon where dead Pokémon are buried. There are multiple urban legends and myths surrounding this town, including a myth that tells of children driven to commit suicide after reaching this level on the Pokémon game.” Just like that, the poem is transformed, deepened by a startling context. In these poems there is a perpetual ghostly feeling: of Anna May Wong’s voice speaking from the realm of the dead or perhaps a fractured place in time, of the alienation in being a woman of color, of the desire to be seen and yet not—Oculus. Finally, there is a current running beneath every poem in this collection that begs something of the reader: our reverie, perhaps, or even our very hearts. Is there a new release in poetry that you’d like to see reviewed? Contact me at natalie.patterson@salem.edu with your ideas!